This article is part of a series on Creole languages. For part one, click here. Creole languages have caused much debate since linguists began to study them a few hundred years ago. In fact, not much can definitively be said about them without treading into controversial territory. Many people will have heard of such languages as Haitian Creole or Jamaican Patois and understand them to be “hybrid” languages with vocabulary and influence from French and English, respectively, despite obvious differences. Some may believe Creoles to be dialects of their European counterparts, but few have any real understanding of what they are and where they came from. Even Google’s definition of a Creole, “a mother tongue formed from the contact of two languages through an earlier pidgin stage,” is not without flaw either, as we’ll see later. Perhaps the source of most disagreement among linguists is the study of the origins and development of Creole languages, or Creole genesis. One major problem is that these languages emerged in an environment of European dominance and violent colonial expansion. Racism and slavery built the societies into which Creole languages were born and in which they began to be studied. These pervasive systems of oppression, in turn, have hindered the objective, scientific study of Creoles from the beginning. Today the layers of racist colonial ideology are slowly being chipped away from the study of these languages, but they still leave their mark and result in widespread misconceptions which are commonly accepted as fact even today. Linguists such as Michel DeGraff and Salikoko Mufwene have made strides in re-examining Creoles and their place among the world’s languages. Over the years many flawed theories have been posited, showing how Creoles are supposedly different from other human languages. Creoles are primal, Adamic languages. 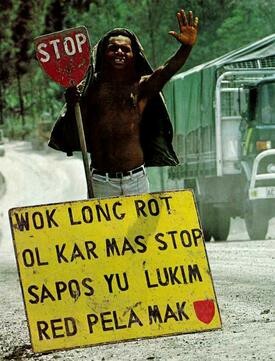 Creoles are degenerate versions of civilized language. Creoles did not develop “naturally” as other languages do. Creoles result from a total break in language transmission. In every way possible Creoles are shown to be the exception and even completely unrelated phylogenetically to other languages. This trend, known as “Creole Exceptionalism”, is the focus of much of DeGraff’s work. To begin to question Creole Exceptionalism, it is necessary to take a look at the historical context out of which the majority of Creoles were born. The most studied Creoles are those that arose out of the Atlantic slave trade, beginning in the 16th century on the west coast of Africa and continuing over the course of the next few centuries in the Caribbean. When European powers such as Portugal, France, and Spain began colonizing Africa and forcing people into slavery, communities were broken up, mixed together and displaced on a large scale. The result was a situation of social and linguistic instability, in which individuals were no longer surrounded by other speakers of the same native languages and furthermore were forced to communicate with slave traders speaking any variety of European languages. These people were held captive on islands such as São Tomé and Príncipe or Cape Verde for varying lengths of time before being shipped en masse to the Americas, principally to the Caribbean islands. In these early years of contact between Africans and Europeans, languages started to take form out of the need for a common mode of communication both among Africans of different ethnicities and with Europeans, and these languages became known as Creoles. When linguists began studying Creole languages in the 18th and 19th centuries, the general belief was that they were degenerate versions of the European languages from which they clearly derived most of their vocabulary. The Larousse Encyclopedia of 1869 defined Haitian-Creole as “corrupted French” (DeGraff, 2005), the result of the inability to speak the “real” language properly. Just as African slaves were regarded as inferior and primitive, so were the languages that they began speaking in the Caribbean. Not only were Creole languages seen to indicate a lack of intelligence but also created an impediment to intellectual development. French military officer Bertrand-Bocandé wrote of Creole speakers in 1849: “It is clear that people used to expressing themselves with a rather simple language cannot easily elevate their intelligence to the genius of a European language.” (Holm, 1988) This condescending, Eurocentric attitude would characterize creolistics to varying degrees into modern times. In the late 19th century, linguist Lucien Adam came up with a theory of Creole genesis based on notions of hybridization, which he called Hybridologie Linguistique (DeGraff 2005). The idea is that different peoples have racially based linguistic templates that form a hierarchy of grammatical complexity when different language communities make contact. When two languages blend, they will “cross fertilize at the lowest common denominator” (DeGraff 2005). Essentially, the features of the more primitive language limit the complexity of the resulting hybrid. Again, racist ideologies and linguistic theory are irreconcilably intertwined. Tory speaking Martinique Creole, which is rooted in French, as well as various West African and Arawakan languages. Yet another painfully flawed theory was that of Creoles as “contemporary Ursprachen”, primal languages linked to the genesis and evolution of language itself. This theory assumes a total break in “normal” transmission of language with Africans being taken out of their native linguistic environments and put into new environments with no established community language, or certainly not one familiar to them. In the absence of “normal” linguistic input, Creoles were believed to reflect the primitive cognitive abilities of homo sapiens at the time of the very evolution of human language. The racially driven motivations and ignorance of the aforementioned theories are glaring to us nowadays. Racism is not as widely accepted as it once was in the academic world, and the linguistic community does not generally believe Creoles to be primitive per se. That said, it is surprising that more linguists are not re-examining theories of Creole genesis with particular attention to the prevailing social attitudes of the academics who first began studying it. On the contrary, we find lingering evidence of the aforementioned misconceptions in many contemporary popular theories. Creoles nowadays are generally recognized as languages in their own right and not merely corrupted dialects of more civilized languages, however it is still commonly believed that they are somehow less sophisticated than their European counterparts. According to Dutch linguist Pieter Seuren, “Creole grammars … are, in a sense, simplified in that they lack the more sophisticated features of languages backed by a rich and extended cultural past and a large, well-organized literate society.” (DeGraff, 2005) The same sentiment is reinforced through the education systems of most Caribbean Creole-speaking nations. The fact that Creole languages have complete grammars and can express intricacies of thought and abstract ideas as well as any other language is denied or ignored. The medium of education is almost always the colonial language, be it French, English, Dutch, etc. despite evidence that children learn best when educated in their native language (UNESCO, 2008). It seems once again that Creole languages are the exception. The legacy of Hybridologie Linguistique has survived in contemporary creolistics as well. Creoles are often said to contain elements of superstrate languages and substrate languages. The superstrate language is generally the language of the conqueror, the colonial language with all its prestige, and it contributes the vast bulk of the Creole’s vocabulary. French would be the superstrate language of Haitian Creole, as it provides the Creole with most of its lexical items. The substrate, on the other hand, is the language of the conquered, providing more subtle, underlying structural elements, which are considered to be more simple than those of the superstrate language. Various West African languages or even language families are posited as the substrate for Caribbean Creoles, Haitian Creole included. The interface of superstrate and substrate is strikingly akin to the hierarchical struggle between languages, according to Hybridologie Linguistique. The superstrate directly provides needed lexical items, while the simplicity of the substrate prevents the “more sophisticated” superstrate grammar from fully taking hold. The implication is that while vocabulary is easily learned, there are certain “complexities” of the superstrate language that were not accessible to or learnable by the early Creole speakers. The only difference is that we no longer overtly claim that the differing levels of complexity between superstrates and substrates are racially determined. Finally, the “contemporary Ursprachen” theory probably has left the strongest traces on modern day theories of Creole genesis. Perhaps the most popular theory of how exactly these languages took shape states that Creole languages arise from a less complete language or jargon known as a pidgin. A pidgin is typically a limited set of vocabulary items with little to no system of grammar. Pidgins are used for rudimentary communication in situations of trade between populations without a common language. The theory is that when a generation of children grow up hearing a pidgin as the primary means of public communication in their society, they “fill in the blanks” and provide the necessary grammatical structure and complexity needed to constitute a fully functional language. The resulting speech of these children is known as a “Creole” language. This process is a prerequisite for Bickerton’s Language Bioprogram Theory, whereby people in such a situation of linguistic deficit have to rely on their brain’s innate capacities to organize and process language. The presence of a universal cognitive framework of grammar in the human brain is proposed as the mechanism by which Creoles established their own rules of grammar and became complete languages. The idea of humans accessing a universal grammar in a direct and unique way, unobstructed by faculties of intellect, culture, or environmental languages, however, harks back to the concept of Creoles being a primal, less evolved form of language. 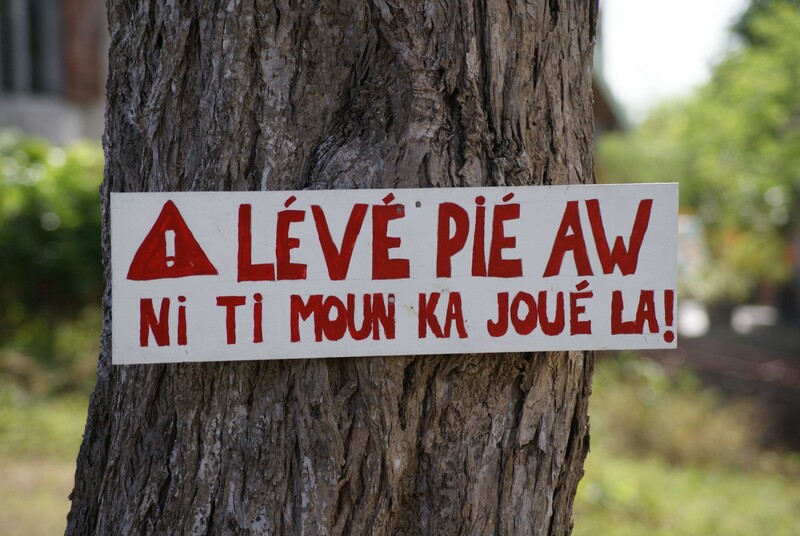 The rhetoric is not as overt, but the implications for Creole speakers are still dangerous. These implications are not surprising when one considers the mentality of the early colonists towards their captives. Early creolists came from the upper echelons of colonial society, a society that depended on a strictly enforced, racially determined hierarchy. It is clear that their theories were used as justification for a massive system of oppression. It is no coincidence that of all the languages in the world, Creoles have been painted in a unique light of otherness and exceptionalism. With the historical perspective that we have now, it is remarkable that more people are not thoroughly questioning this legacy. In the next installment, we take a closer look at the flaws of Creole Exceptionalism and further unravel colonialism’s hold on the way we think of Creole languages today. Wikitongues is a non-profit platform for every language in the world.